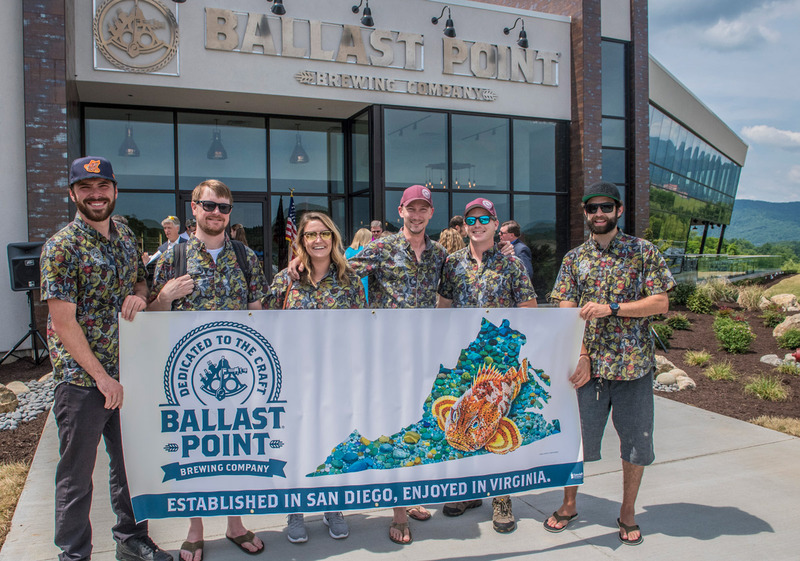 DALEVILLE, VA (June 12, 2017) — Ballast Point Brewing Company took the next step toward establishing its major East Coast presence by opening a Tasting Room & Kitchen today at its soon to be completed production facility in Botetourt Center at Greenfield in Daleville, Virginia. The Tasting Room & Kitchen will accommodate around 200 for lunch and dinner, seven days a week in both fast casual and table service formats. There also is a 100 person banquet room and a 14 tap growler filling station. “The menu has an east meets west flavor with staples from Ballast Point’s California kitchens plus southern standards,” said General Manager Mike Alvarado. The interior has a clean contemporary look and includes a bar area, retail store, merchandise shop, outdoor fire pit patio overlooking Greenfield Lake, with accent pieces from Roanoke’s Black Dog Salvage. “This is an attractive asset for people who live here and a major draw for tourists,” said Jack Leffel, chairman of the Botetourt County Board of Supervisors. 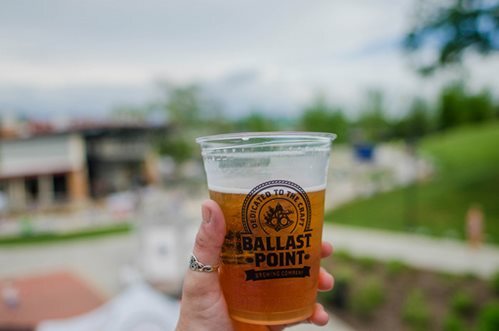 Today’s announcement is leading up to the completion of Ballast Point’s East Coast brewing operation, which was announced in April 2016. Completion is expected later in 2017 and will include 100 and 300 barrel systems that will enable the company to produce more than 50 styles of beer. The company employs 47 in the Tasting Room & Kitchen and will employ about 145 in manufacturing and associated functions.